8. White Crane Spreads Wings 白鶴亮翅, 9. Brush Knee Push Step Left & Right 4 Times 摟膝拗步左右四度. There are numerous clips here and all are performed in slow motion with overlay written instructions. One should pick an arbitrary direction such as North and start there, with the turning done to the primary and secondary directions such as North West, East, etc. The following are really written instructions for the Square Form but should give practitioners much in the way of insight to the nuance of the movements. 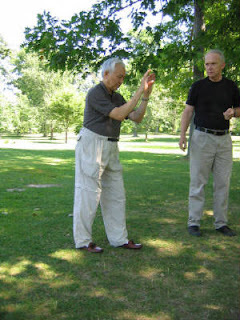 Lower body movement is learned in Lesson 1 - Tai Chi Walk onVolume II of the DVD Series. "Taiji is not the form?" the use of the arm..."
internal discipline more difficult. The matter of not wanting more "external"
strength as a part of that equation, stands to reason." a crimp this is going to put in my watching of College Football on Saturdays. then the point is moot." a pretty good workout... just my thoughts." Kong Wu Style Studio." Oddly enough he agreed with her. times before he taught him new ones. teams can wipe the floor with those Big Ten teams. is indispensable to the acquisition of internal power. I excerpted the following from a website http://enlighteners.com/history.html and it gives another perspective on both the practice and evolution of Square Form and Round Form, that are the primary course of study in Classical Tai Chi (See picture above) Grandmaster Yang Wabiu (Young Wabu) is spoken about in the article as being "Dr. Young" and Wu Jian Quan is referred to as Mr. Wu. 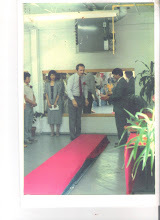 It speaks of how Wu Jianquan developed the "small frame (small step)" from the "large frame (large step)"...and more. Mr. Chow: "Yes, we both started Tai Chi Chuan in 1949.
" Stephanie: "Who was your teacher?" Mr. & Mrs.: "Dr. Young"
Stephanie: "He was teaching Wu Style Tai Chi?" Mrs. Chow: "Yeah, yeah, yeah." Stephanie: "Because I know Yang Style is very popular now." Mr. Chow: "Dr. Young was last student of Mr. Wu who started Wu Style Tai Chi in Hong Kong." Stephanie: "Why and how is Wu different from the other forms? How is it different from Yang or Chen?" Mr. Chow: "Mr. Wu, he was yang (master) with big steps. After sixty years he developed smaller steps." Mrs. Chow: "He thinks when you getting old you don't like to do big steps. See?" Mr. Chow: "Don't expend the energy. We want to get more energy not to expend." Stephanie: "So, the circle (in Wu Style) is smaller. Does that mean the energy intensifies inside? You once told me, Mr. Chow that our style is the healing tai chi and you can feel warmth emanating through the fingertips and sometimes people lay hands and make people feel better. I've seen you do that." Stephanie: "And you get it from the chi?" Stephanie: "Which are about two fingers beneath the navel?" Mr. Chow: "Important with this energy is your angle and timing, co-ordinate." Stephanie: "Your angle and timing. And that's why our tai chi takes such a long time to learn when compared to other styles. Our angles are very important?" Mr. & Mrs.: "Yes, yes." Mr. Chow: "This is very scientific." Stephanie: "When we learn, we're taught Right Hand Square Form first." Mrs. Chow: "Mr. Chow, you tell them why! Must teach them square using numbers (counting the steps) because it's easier to remember." Mr. Chow: "Never gets lost!" Stephanie: "Mr. Chow it was your idea to count while you were teaching?" Mr. Chow: "Yes, I started. Even square. The old fashioned don't teach square! When your teacher decided you were very good student and you could become teacher, then would teach you square." Mrs. Chow: "Square is good foundation." Mr. Chow: " We turn it upside down (referring to teaching square before round). The square let the student really understand first (the tai chi form.)" Stephanie: "So you did that or did your teacher turn it around?" Stephanie: "So your teacher Dr. Young. " Mr. Chow: "Mr. Wu's family even now, only teach round, no square!" Stephanie: "They bend deeply and it looks different from our round." Mr. Chow: "Mr. Wu when Japanese attacked, (he) came from Shanghi to Hong Kong. My teacher lived in his house all day long. He taught one student at a time. 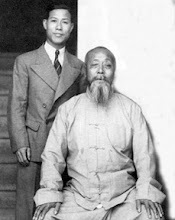 He (Mr. Wu) taught our teacher square first and ordered him to teach square first." Stephanie: "So that's how it started. That was a big change. Now, we learn Right Hand Square first, then Right Hand Round. People think that round is beautiful but I think square is beautiful, too. But the most important aspect is to always practice both. Then the student is taught Left Hand Square and Left Hand Round. Why is that?" Mrs. Chow: "Because of the circle, you know!" Mr. Chow: "Because of yin and yang, contrast and balance." Stephanie: "I think that's good, it exercises the other side of your brain." Stephanie: "I remember when I learned Right Hand Square and then when I began to learn Left Hand Square, I thought I should know what I was doing. But I would get very mixed-up as if I was exercising some other part of my brain. And I do feel more balanced now." Mrs. Chow: "Some people difficult to learn the left." Stephanie: "You have to once again have the patience." Stephanie: "What was the school's name in Hong Kong where you learned tai chi?" Mr. & Mrs. "No, no. No name, just Mr. Young." Stephanie: : "How long were you students of his?" Mr. & Mrs. "Seventeen years, sometimes two times a week." Stephanie: "When did you both start teaching?" Mr. & Mrs. "After we moved here." Stephanie: "So you never taught in Hong Kong, tai chi?" Mrs. Chow: "No! We were too busy to teach art." Stephanie: "What year did you move to America?" Stephanie: "In 1967, you came to Miami?" Mr. Chow: "No, no, no. We came to New York." Mrs. Chow: "The end of 1968." Mr. Chow: "We came to United States invited by TWA for art exhibit in Kennedy Airport." Ms. E. Marie Koepsell wrote the following article which appeared in Tai Chi Magazine some time ago but I think it speaks volumes about what new students can look forward to in their study. We are also grateful to Rick Matz at Cook Ding's Kitchen for publishing this on a previous occasion. 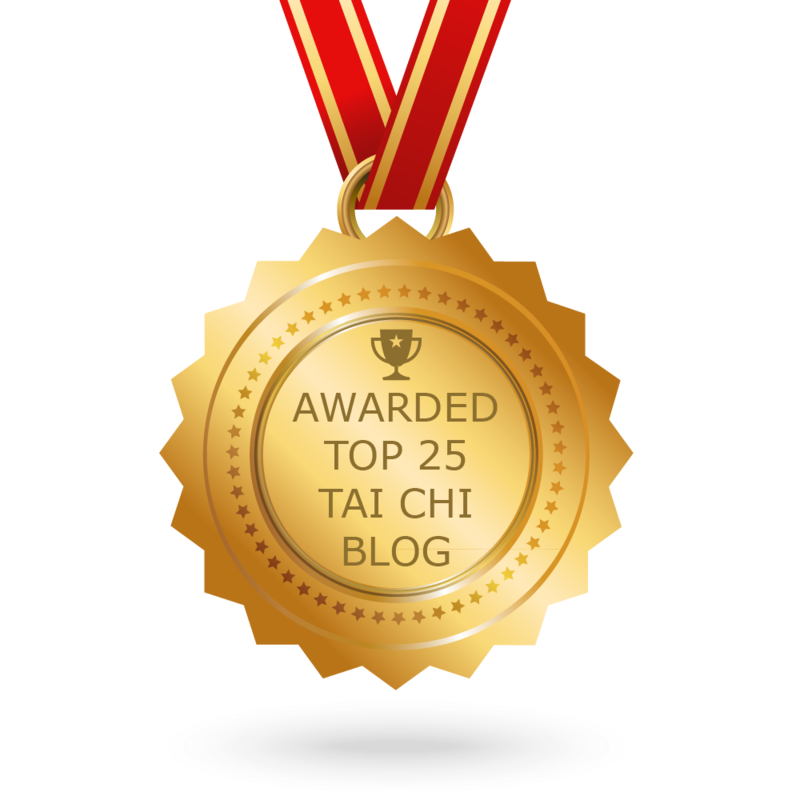 Rick mentions his current training with the Classical Tai Chi DVD's in one of his most recent Blog's...he talks about his training in basic walking using such "Internal Dynamics" (Internal Discipline). Master Stephen Hwa has taken on the difficult but rewarding work that his teacher Young Wabu learned from Wu Chien Chuan. He teaches Classical Tai Chi to hundreds of students worldwide via sets of his great DVD series www.classicaltaichi.com. 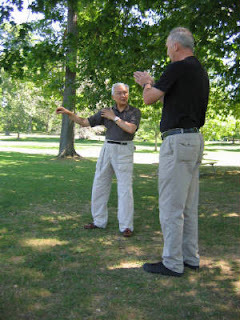 Teaching primarily at Faust's USA Karate in Rochester, NY, he now has certified teachers of Classical Tai Chi in Buffalo, NY, Rochester, California and Massachusetts. He is Master Stephen Hwa to his many students since he is truly deserving of the title. 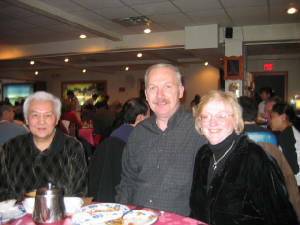 "The following article is based on the lectures and my studies and discussions with him" (E. Marie Koepsell speaking about Stephen Hwa, Ph.D. when he was teaching Tai Chi at the University of Buffalo). "The internal physical discipline of T'ai Chi Ch'uan" according to Dr. Hwa, "involves the intensive training of the body and mind to develop discipline in movements so that the movements originate from the abdomen (dantien) and back, in addition. the energy flow of these movements are developed in a relaxed body, giving an appearance of effortlessness". As a reference point for correct movement. Dr. Hwa used the example of the movement of children, who use much more of their torso for initiating action. He said when children are using their arms or legs, the motion originates from the torso, the strongest part of the body. He said the arms and legs should he treated as appendages that must be taught to move in coordination with and under the direction of the torso. 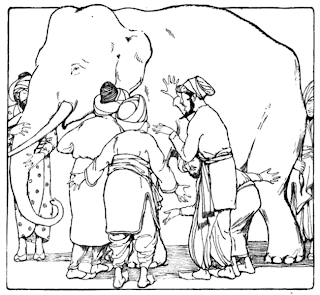 Can any of them formulate a good "concept" much less a "true" one of what the elephant is? There is a saying in Chinese (pinyin) which is zhǐ lù weí mǎ…”pointing at a deer and calling it a horse”…literally twisting the truth. This is only remedied by wǒ zuò wǒ liǎo jiě…I do and (only then can I say) I understand. The basic walking we are going to show below is not "like" anything you have done before and neither is the vast majority of the Internal Discipline we show in this Blog... We'll also attempt to explain here why students should not fret over "concepts". "The study of Classical Tai Chi in the beginning through advanced stages is as logical and rigorous as the study of any scientific discipline"...Master Stephen Hwa, Ph.D. What beginning students run up against however is the desire to conceptualize something that is based almost entirely on an individual's personal experience. 3 blind men will surely each have a different "concept" of an elephant when touching it for the 1st time, how should the zoo keeper provide a "concept" of the elephant for them by mere explanation? Won't their "concept" be considerably different in 1,3,5 years if they faithfully come back each day and touch more of the elephant each time? The other problem is that a lack of a concept sometimes seems to spur students to try harder to intellectualize what is experiential. For instance, one hears pronouncements or affirmations about what "Qi" is from beginning students. Or one hears "conceptualizations" from beginning students about the Internal Discipline. "Oh, that is like belly dancing", "Oh, that is like an exercise I used to teach in Karate", "Oh, that is like the 24 Forms of Wu Style Tai Chi, etc. Or regarding the subject of "Qi": "Oh, I know what that is, it is like energy, it is air, it is like...", or "I teach Karate and since I have experience with that it stands to reason that I can not only teach Tai Chi but I can articulate what "Qi" is..." Let me get this straight, science cannot thoroughly articulate what "Qi" is but you can? The question I have to remarks like that is, "Why is it such a persistent issue that everyone assumes they can explain "Qi" or teach how to cultivate it, when they have not gone through the "beginning through advanced" stages we mentioned previously? Science has no answers at the level of understanding we talk about...how would someone who has not studied Classical Tai Chi or Qigong in depth have an answer. It is only when one reaches the advanced stage and contemplates such problems as by example "conceptualizing what Qi is" where one truly sees Science has no answers... it should be a humbling experience. 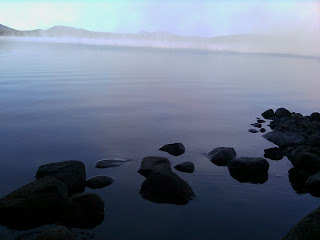 How then is there any "conceptualization" to be had for the beginning practitioner?